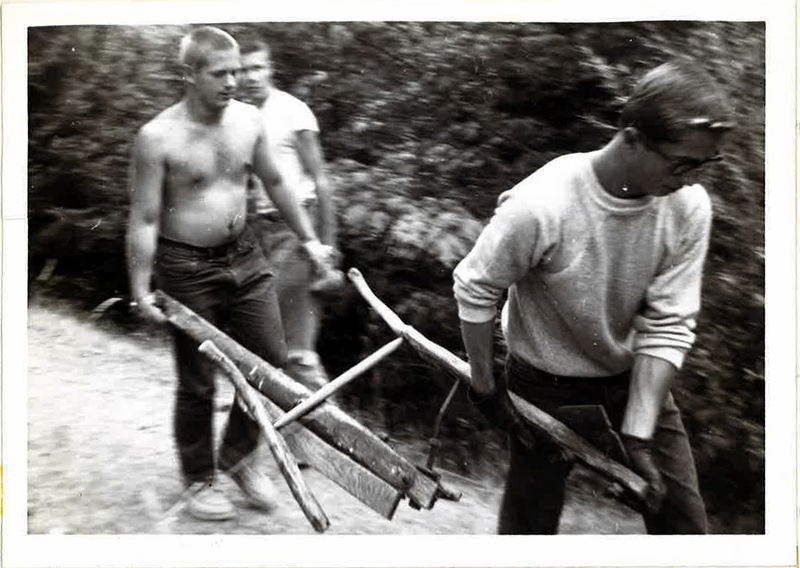 Sixes are wild as SCA celebrates its 60th anniversary, and so are the 6 passages below from 6 decades ago. All SCA crews keep a journal of their activities, covering everything from work accomplishments to observations in nature. Today, they convey their thoughts through handwritten poems, colorful sketches, or clever videos. 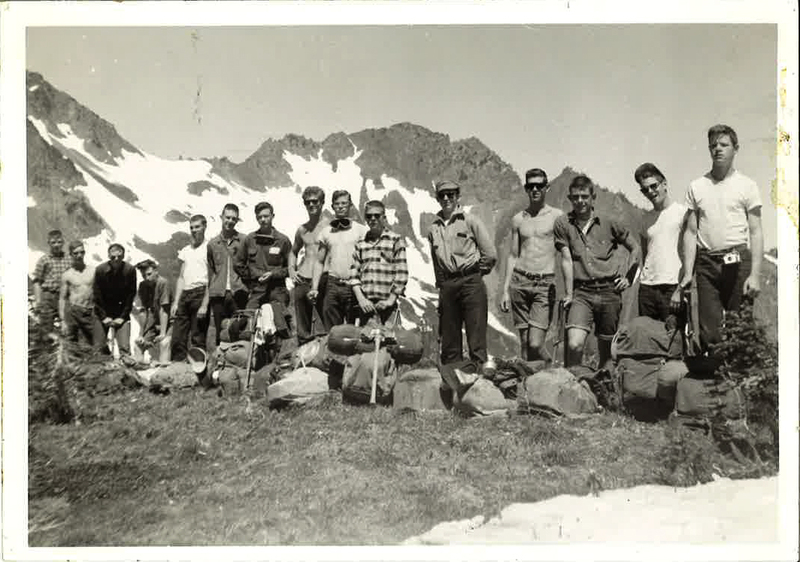 But in 1957, SCA crews hauled a portable typewriter and assigned an oﬃcial scribe to document their adventures. 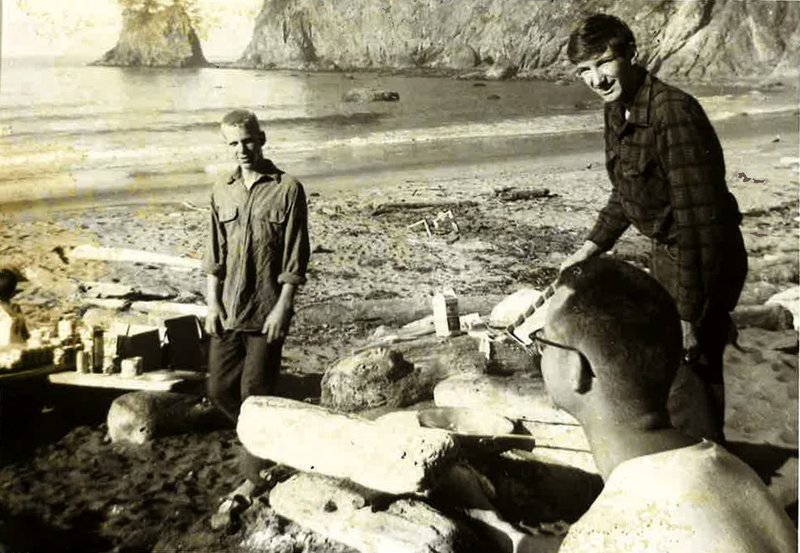 Here are six excerpts from the first two SCA “groups” (as they were called back then) at Olympic National Park. 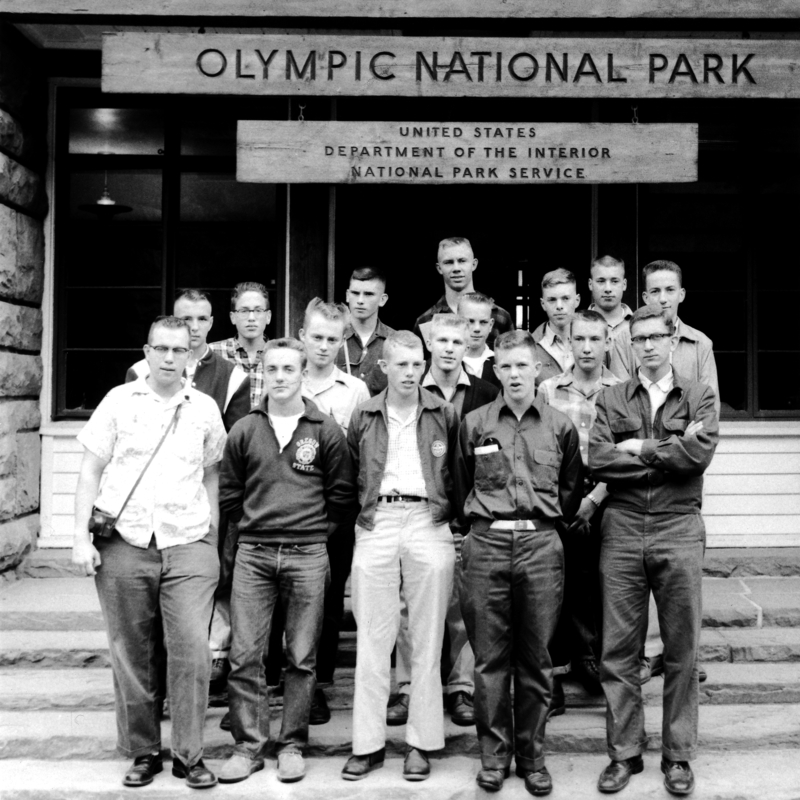 Olympic National Park Group I – SCA’s first! 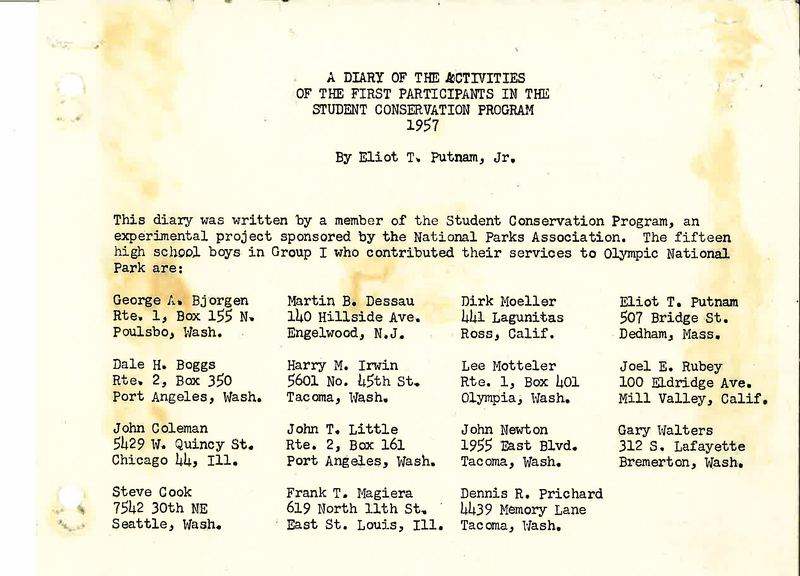 Fifteen young woodsmen, representing such far-ﬂung places as Boston, Chicago, and Englewood, N.J., were welcomed to Olympic National Park as the pioneers of the entirely new Student Conservation Program (editor’s note: the change to Student Conservation Association came in 1964). Superintendent Overly made us feel right at home with a warm talk, and then handed us over to our “boss,” Chuck Maiden, who, with little further ado, led us to our first week’s campsite above the Elwha River, three miles in from Whisky Bend on a trail that would rival the New York State Thruway for speed and comfort. A dilemma was discovered this morning which was to plague us the rest of the week. It seems the horses have irregular bed hours [and] every step shakes the barn to its roots. Conclusion: everyone was awake early!…More rain this afternoon, it’s a habit by now, but we made great progress with the graveling, which atoned for breaking the tailgate of the truck, unfortunately right in front of the Superintendent…Around dinner time a couple of trail crew men appeared, one of them an old friend of Chuck’s, and the other a college football player. We “swapped yarns” with them in the cabin until 10:00p.m., when we all turned in. Last day…showers were had by all, in a last minute attempt to smell somewhat civilized for the home folks! Boots were greased and some bags packed. It seems this group has made a big hit in the park. We’ll be leaving tomorrow in different groups, and there will be little to write about besides a few handshakes, so here I will close this diary of the first group of SCP participants. We will never forget them. I would like to tell you the day was beautiful, the sun was sending down its glorious warming rays, and we, the second group of the Student Conservation Program, were in the best of spirits because of the warm welcome we received upon entering the Olympic National Park at Hoh River Guard Station. But conditions were quite adverse to the ones just spoken of, except the warm welcome. We awoke to a nice damp first morning that included a fine precipitation which is very common to the Rain Forest…Our six hour work day sapped most of our energy, but we were none too annoyed when visitors would interrupt our work by walking by us on the trail. Chuck awakened at 6:00 and had breakfast ready by 8:00. Joe obediently deposited some trash in the fire and learned, after being hit in the face by the lid of an egg can, that cans should be punctured before being placed in the fire where heat expands the air inside and a small explosion occurs! After the morning’s work, moving 50 loads of gravel, we returned to camp and found a small black bear who had created havoc with the garbage can. There were many pictures taken, and when the beast descended from his perch in the tree up which he had been chased, the boys pursued him to the river until he got too far away to see. Later, in the evening, we noticed that a member of the group had been away from camp for a considerable while. After investigating, we discovered Dennis in the public camping area drinking coffee with a family from Illinois. Incidentally, the family included Yvonne, a young filly about Dennis’ age. The evening was topped off by a campfire. We then headed off to ye olde barn to get some shut-eye. Our last day of work was greeted by a slight downfall of liquid in the morning which dampened our clothing – but not our spirits. In the afternoon, Liz [Putnam, SCA’s founder] arrived with the mail, and some filming was done for a nationwide TV program travelogue. The campfire tonight was the biggest event of our three week stay. It was started by a talk on campcraft by Big Chuck, our camp supervisor, after which Liz handed out our awards. Ed brought his guitar and he played with all of us singing. Ice cream, those magical words, topped things off and then we headed back to the barn. Our last morning will consist of eating breakfast, striking our tents, and loading up the truck. We’ll leave with some great experiences and wonderful fellowship behind us. 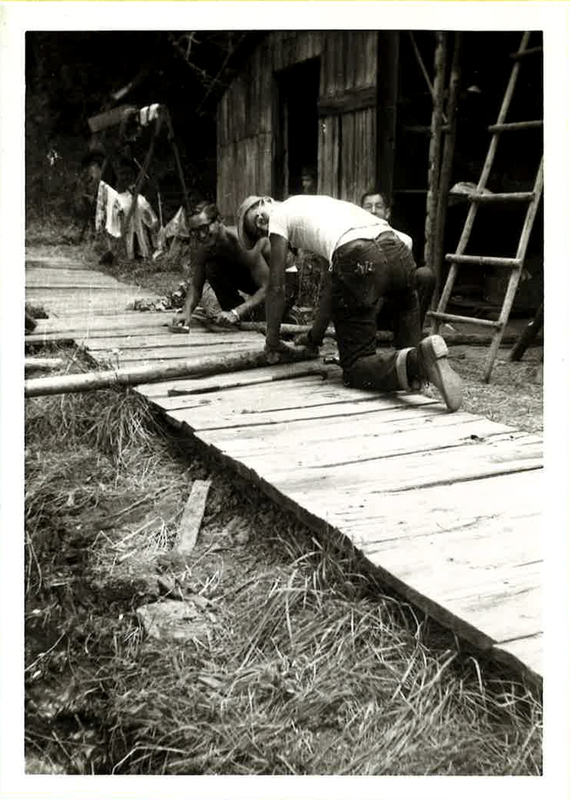 For more 60th Anniversary content click here!